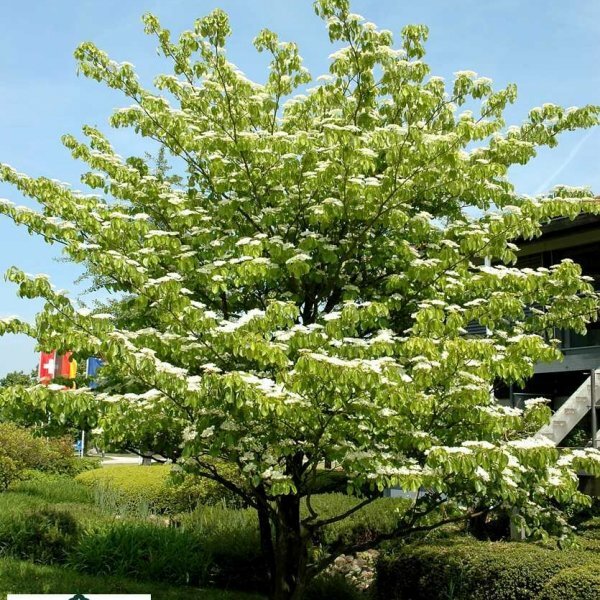 With a handsomely structured, tiered branching habit, pagoda dogwood is also well known for its clusters of tiny white flowers that yield purple fruits on pink-red stalks. A deciduous small tree or often multistemmed large shrub, it hails from eastern North America from New Brunswick and Minnesota southward to Alabama. With a smooth gray trunk, it has much showier deep purple-brown young twigs and branches. 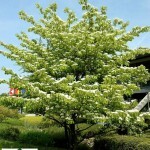 The glossy leaves are rounded oval with a pointed tip and depressed, nearly parallel veins. 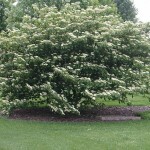 They are medium green to slightly yellow-green and alternate on the stems (as compared to the typical matching pairs of dogwoods). In late spring and early summer, squatted round clusters of tiny white flowers appear along stems across the entire plant. 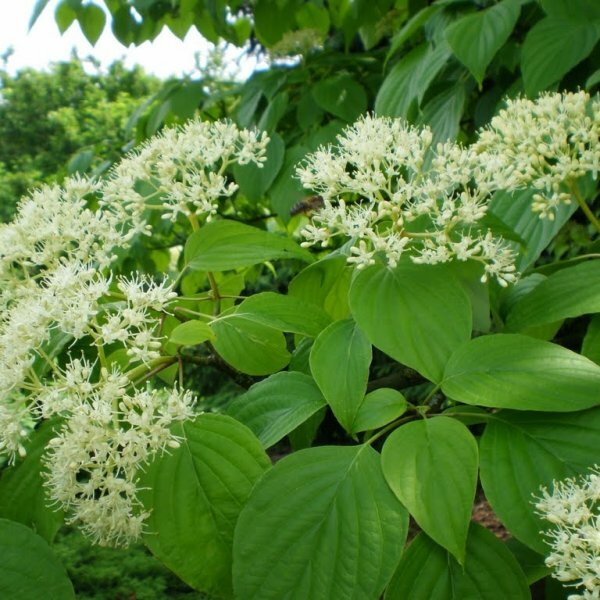 The flower stalks lengthen after insect pollination, become dark rosy-red and support small round fruits that are cream, then red and finally dark purple-black when ripe just afer midsummer. The fruits do not persist, but the showy fruit stalks do. 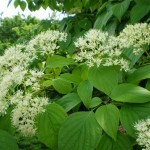 In autumn the foliage can flush red-purple with yellow, but it is not an outstanding display.